Smashing The Glass Chrismukkah Meetup in London! CHRISMUKKAH MEET-UP IS HAPPENING (complete with prosecco ðŸ¥‚and donuts ðŸ©)! That’s right, I’m hosting the first ever Smashing The Glass Brides Club meet-up next Thursday, December 13, from 6:30 – 9:00pm, in the Club Lounge of London’s The Wedding Gallery. 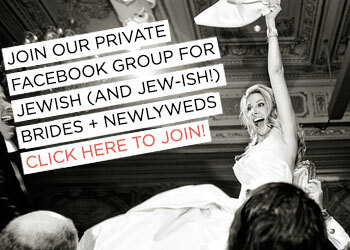 I’d love to meet as many Jewish and Jew-ish brides and newlyweds as possible so you’re all invited (yay!) 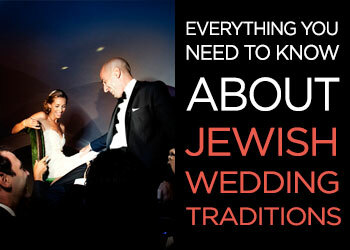 but the event will be chargeable if you’re not a member of our amazing Club for Jewish Brides, at £22 per ticket (but of course club members come free!). 5 days, 18 appointments, approximately 57 million Insta stories (if you missed them, you can catch the best bits in our highlights), and countless fantastic dresses later, New York Bridal Fashion week is over for another season. Basically Fashion Week for wedding dresses, Bridal Fashion Week (aka Bridal Market) is easily one of the most fun times of a wedding blogger’s year. 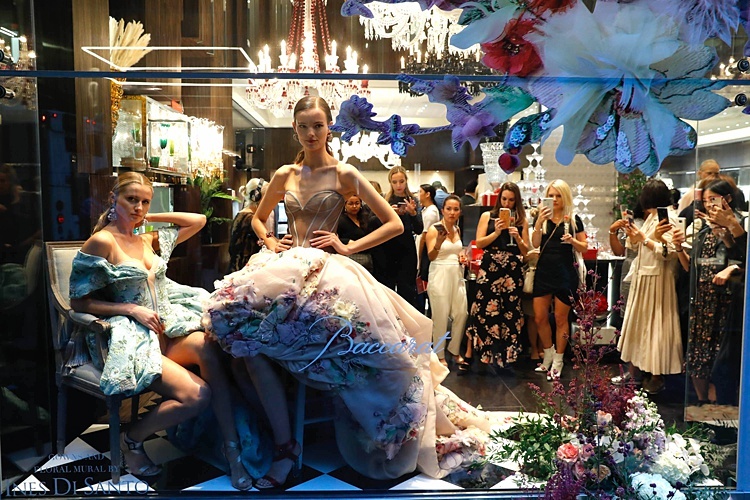 Some of the collections are presented at full-on runway shows (and Ines Di Santo put on a particularly epic one this Bridal Market, plus the coolest afterparty at the Baccarat Flagship), while others are shown at more intimate appointments for small groups of buyers from bridal boutiques (plus press, of course), sometimes with the designers present. I had some fantastic conversations with designers and PR reps, learned a ton about everything from who actually buys those epic but unwearable-looking designs you see on the runway (answer: often no one, since some designs are purely intended for editorial impact and never even make it to production) to the differences between what American and British brides are looking for in a gown (according to Sassi Holford, it’s half an inch: Americans invariably want deeper sweetheart necklines, while the Brits prefer theirs with less of a dip). The more you know! 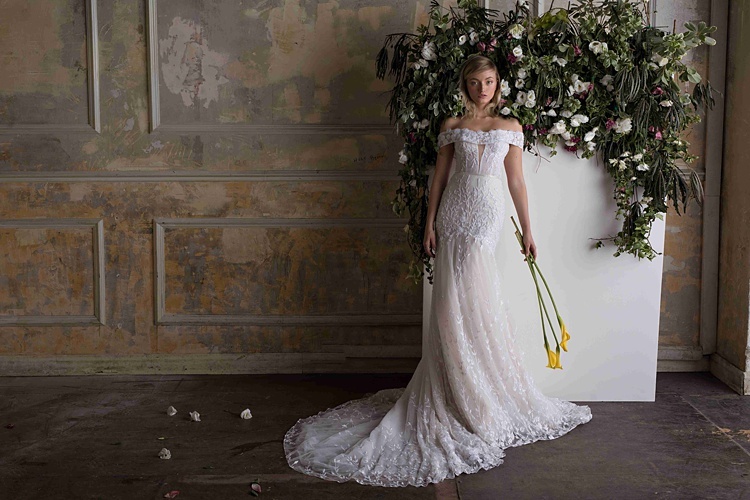 There’s so much fantastic bridal fashion in the pipeline for next year, and I’m so excited to share it with you, along with my take on some of the top trends we’ll be seeing (or, in some cases, continuing to see) over the next year. 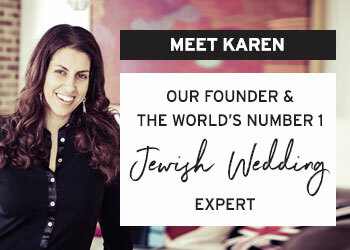 From classic elegance inspired by Meghan Markle’s gown to a burgeoning range of alt coverups from capes to ruffs (perfect for under the chuppah!) 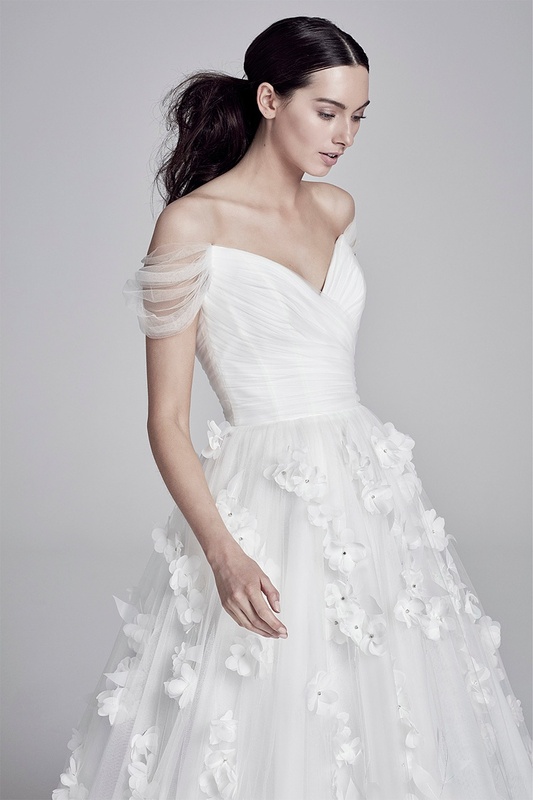 to unexpected bursts of color, 2019’s going to be an exciting year for bridal. Pin your favorite looks! Smashing The Glass at New York Bridal Market! 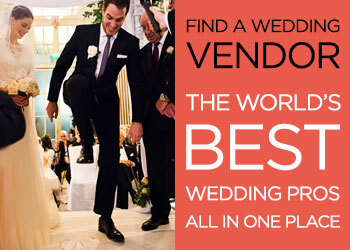 It’s the most wonderful time of the yeeeeeeear… New York Bridal Fashion Week, aka Bridal Market! It’s basically Fashion Week, but for bridal designers. And now that Team STG has a New York-based member – that’d be me, Emily, your friendly Client Relations Manager – we’re able to bring you the Spring ‘19 fashions live from the catwalk. 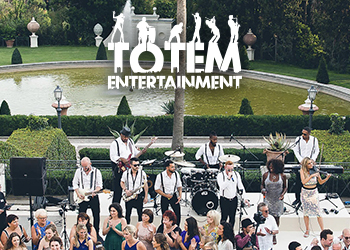 Bridal Market really is one of the exciting times in a wedding blogger’s year, and we have invites to some absolutely fantastic shows this time around. I’ll be posting it all on Smashing The Glass’s Instagram Stories, so stay tuned over the next few days for some gorgeous gowns, fab accessories, and a behind-the-scenes peek into the life of a wedding blogger! 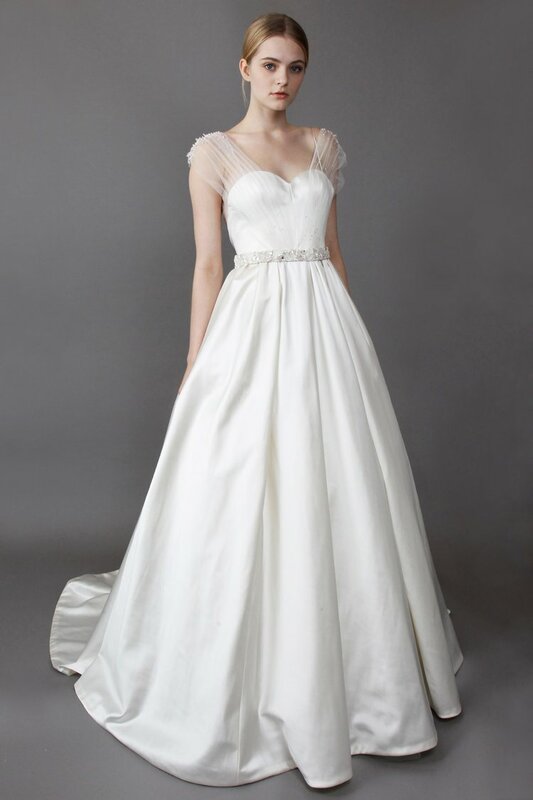 I have a super packed schedule over the next few days – I’ll be running around the city from Midtown to Chelsea to Soho to see the latest and greatest from some of our absolute favorites, including Lela Rose and Ines Di Santo (I’ll be joining the fabulous Caroline Burstein of Browns Bride for these two! ), Vera Wang, Alon Livne, Dany Mizrachi, Halfpenny London, Hermione de Paula, Lee Petra Grebenau, Emmy London, Caroline Castigliano, Limor Rosen, Sassi Holford, aaaand… Suzanne Neville! 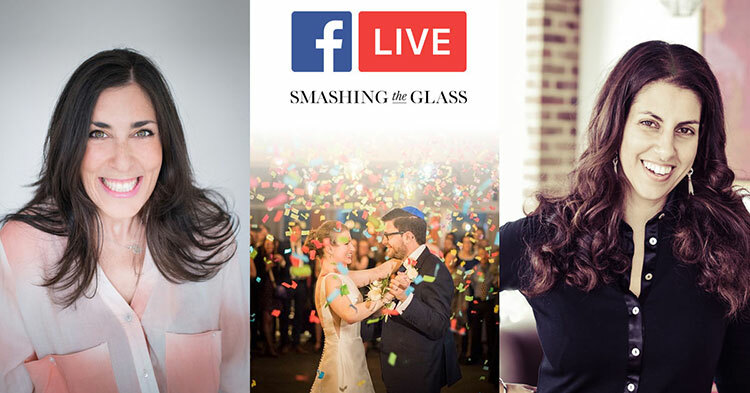 Claudine Hartzel is one of the most experienced Jewish wedding photographers on the planet and I’m utterly thrilled to be chatting to her live the Smashing The Glass Facebook page this Thursday 2nd August! I have a deep personal love for Claudine… I met her right when I started Smashing The Glass back in 2013, and we now work together on all my shoots – she is super talented, has amazing ideas and she always knows how to put me at ease – I unashamedly love her! (Sorry to embarrass you Claudine).